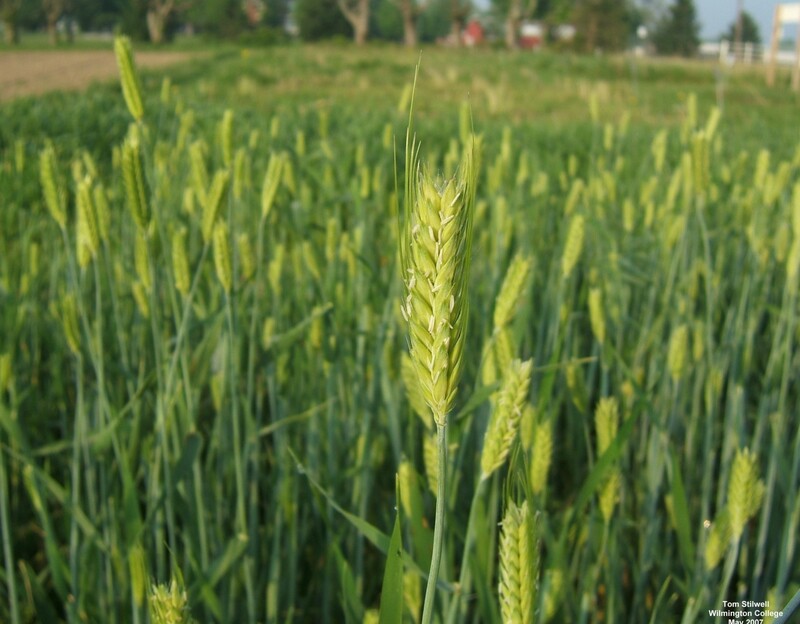 Find all posts from the 2015 Governor’s School for Agriculture here. In Nye County, Nevada, an area about 80 miles from Las Vegas, lies the Yucca Mountain Nuclear Waste Repository, the designated site for disposal and storage of spent nuclear fuel and potentially radioactive waste. Although the Yucca Mountain territory was selected and approved, after decades of research, for its dry, isolated and geologically stable attributes, this project has received opposition from almost all of the neighboring communities, which is largely due to misrepresentation and man-made myths. 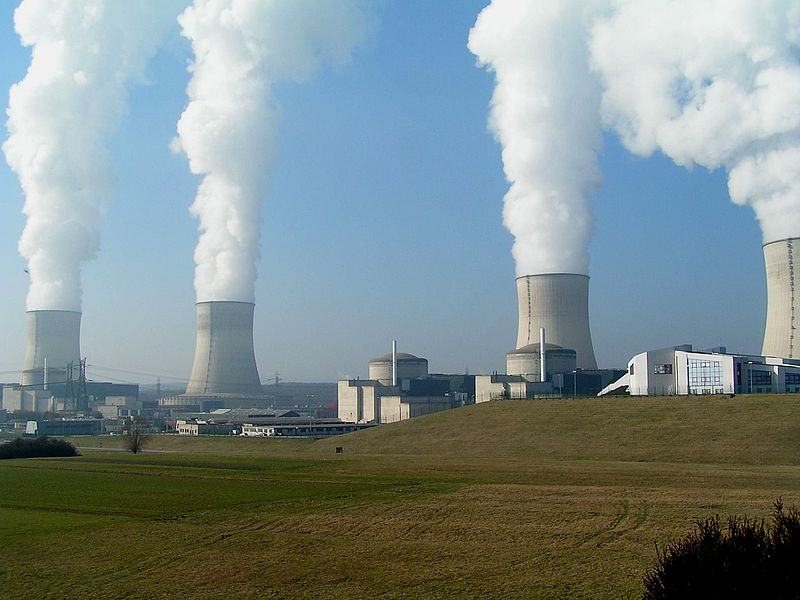 The fear of nuclear power plants persists to such an extent that nuclear energy continues to only account for 20% of the United States’ energy and 14% of worldwide energy, but it is unclear whether this trepidation is justified. Nuclear power shows great promise for combatting the energy crisis; for one thing, it is sustainable. Uranium is incredibly abundant and if countries invested in research to develop more efficient generators the uranium supply could last over 2,500 years. France in particular has been incredibly successful with nuclear energy usage; it obtains over 80% of its national energy in this manner. The downside is that nuclear reactors produce potentially harmful radioactive waste. Nuclear technologies emit nuclear radiation that, if not properly contained, can be detrimental to ecosystems and the environment. Although there are a considerable amount of restrictions and regulations on how waste is disposed, accidents can happen. For example, the Three Mile Island incident in 1979 occurred despite having several layers of defense. In this incident, human error led to a severe core meltdown. It was estimated that that over two million people received radiation of about 1 milligrams over the background dosage. Another specific nuclear waste disaster was the Mayak case in the Southern Urals, located in Russia during the Cold War. This nuclear waste storage site, which is tightly administered and fortified by the Soviet Union, blew up in the midst of the war and caused a series of detrimental consequences to the people surrounding the disaster site, such as hydrocephalus, a condition that involves mutations in the physical build of individuals. 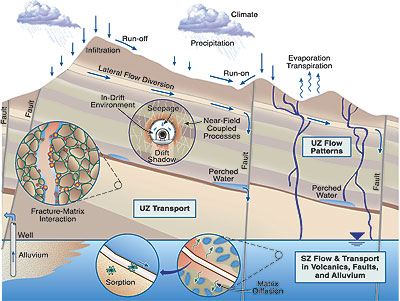 Additionally, runoff from the disaster entered water streams and rivers in the area, later taking a dangerous toll on the environment and water quality. In spite of these disasters, there is evidence to believe that nuclear power plants are not as dangerous as people make them out to be. The U.S. Bureau of Labor reports that a person working as a grocery store clerk is more likely to be injured on the job than a person working at a nuclear power plant. In addition, the Nuclear Energy Institute claims that it is physically impossible for another disaster like Cherynobyl to happen with existing nuclear reactors. In the past 50 years, with over 3,500 reactors in operation, there have been no observed detrimental health effects which can be linked to radiation, even in neighboring villages. In conclusion, the subject of nuclear energy is an ever-developing and expanding industry with an unclear future. Although the toll of select historical nuclear waste disasters is felt upon by the neighboring areas in a myriad of ways, research has been conducted and innovations have been made to prevent such instances from occurring again. That being said, humans still have a protracted path to fully understanding and applying nuclear energy; such is the case with the Yucca Mountain Waste Repository, as the project lacks a backup plan. The prospective results of nuclear energy and its waste shine brightly and are bound to improve as science and society progresses. White-Tailed Deer: Population on the Brink of Extinction? Every year, many people anxiously look forward to the colder months when deer are in season to be hunted. In Virginia, white tailed deer, or Odocoileus virginianus, are a popular favorite, not only for food, but even more for sport. An indigenous species to Virginia, American Indians heavily relied on them for meat, sinews, and hides. Now, this particular species of deer may be in danger due to a disease that spreads each year. “biting midges.” This is a reason the disease may suddenly stop spreading when the cold moves in because the cold climate does not allow them to survive; however, it is still unknown how HD has been able stay persistent throughout winter in some instances. According to the Virginia Department of Game and Inland Fisheries, Hemorrhagic Disease can be detected through a variety of symptoms such as depression, fever, swelling in the head, neck, tongue, or eyelids, and difficulty breathing. These symptoms, however, only appear alone in one of the three “forms” of this disease: peracute, acute, and chronic. When a deer is affected with a highly virulent strain, usually the peracute form, the symptoms are likely to develop, and death can occur within one to three days. In the acute stage, the deer may develop these symptoms, as well as other difficulties: edema in these locations, hemorrhages, ulcerations or erosions on the tongue, dental pad, one of the four stomachs, or congestion in the intestines, pulmonary artery, abomasum, or rumen. The chronic form, commonly known as Hoof Disease, develops in deer that do end up surviving HD. The fever that happens during HD causes peeling of the hoof wall in the deer and growth interruptions on the hooves. In Virginia, HD is common within the Piedmont and Tidewater regions, but is relatively more common in the Tidewater region than the Piedmont. This disease does affect other areas of the United States, though, as it is widespread throughout all of the Southwest. The reason that Hemorrhagic Disease is such a problem to hunters in this area is how it affects the deer population. As the limit on game changes from season to season, a particular season in an area with a severe outbreak will result in an extremely low limit on the amount of game allowed to be killed. Often when this limit is placed on the white deer to keep a stable population, and although the virus itself may not affect humans, the deer affected may develop abscesses or bacterial infections that are not suitable for consumption. Many hunters eat the deer they kill, so this affects their hunting. Sometimes, deer, sheep, and cattle can all suffer from HD and similar diseases. This has the potential to threaten an outbreak and in some cases is extremely severe, but usually the viruses subside before a full on outbreak can occur. For white tailed deer, HD accounts for the losses for fewer than 25% of the population. HD is not considered a limiting factor; however it still poses a risk to white tailed deer everywhere. This problem may persist for many years unless further research is done. In 2013, carbon dioxide accounted for about 82% of all American greenhouse gas emissions from human activities. For decades, the world has seen a drastic increase in carbon dioxide, which ultimately brings about deadly consequences. The group that has been most affected by these emissions is underwater organisms. 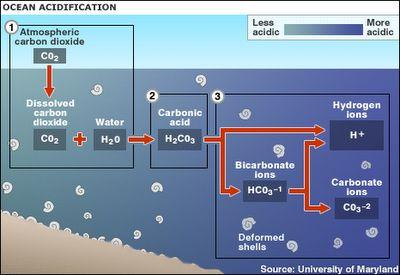 The world has not always been plagued with ocean acidification. Acidity levels remained stable for millions of years, but the course of history changed with the rise of industrialization and factories. After this radical change from individual labor to mass production, factories became some of the worst purveyors of destructive pollution. The carbon dioxide released into the air from the factories is absorbed by the water. According to the NOAA Ocean Acidification Program, roughly one third of all carbon dioxide produced since the 1700’s has been absorbed by the Earth’s bodies of water. simultaneously decreases the pH of the water and eventually leads to ocean acidification and affects the amount of carbonate that can form. Calcium carbonate minerals are the building blocks for the skeletons and shells of many marine organisms. This means they are abundant building blocks for calcifying organisms to build their skeletons and shells. 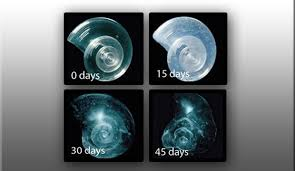 However, the acidification impedes the formation of hard outer shells that some sea creatures need to survive and damages the reefs that protect the diverse wildlife of the ocean. Animals find that their shells are dissolving and deteriorating as they are trying to calcify because of the harsh environment. Increasing carbon dioxide emissions have caused a spike in the amount of damage done to the oceanic habitat and the animals that dwell there. An abundance of sea creatures are impacted by the devastating effects of growing pollution, including starfish, clams, clownfish, crabs, corals, jellyfish, krill, mussels, oysters, sea grass, sea urchins, spiny damsel fish, Walleye pollucks, and walruses. These creatures suffer horrible effects when subjected to the acidic environment. Starfish show a significant reduction in their muscle mass and coral reef growth is stunted when confronted with this issue. Oysters are particularly affected by the acidification because they can’t grow their hard outer shells to protect themselves from the hazardous predators that can then decimate their populations. If further damage is not prevented, sea life will continue to deteriorate. There are many actions that we can take as a community to help the defenseless sea creatures that fall victim to the pollution created by anything from your everyday car to a large factory that has multiple smokestacks emitting carbon dioxide by the ton constantly. We encourage you to do your part to save the animals and ride your bike to work or invest in a clean-energy car. Globally, power generation emits nearly 10 billion tons of CO2 per year. If we want to counteract this and promote a better life for sea dwellers all around the world, we have to sacrifice some of our luxuries so that the animals can receive their necessities. SeaWorld is a well-known target when it comes to orcas, or, as the species is commonly known, killer whales. The controversy centers on whether SeaWorld should be keeping these animals in captivity. SeaWorld is a large theme park with many employees. It is always fun to go to their shows and watch dolphins and seals do tricks. It sparks curiosity and invites questions that you would normally ask a handler or trainer. Now, where do these trainers get their degrees? Are they truly qualified? Where do they get the answers to our questions? SeaWorld claims to give all their animals’ great care, but how much of what they are telling us is true? The first thing SeaWorld looks at when they hire trainers is their athletic ability, not their familiarity with marine life. It leads some to doubt whether the information they relay back to us is true or, as the film Blackfish implied, just a publicity stunt. The release of the documentary Blackfish in 2013 sparked controversy and public outrage concerning SeaWorld’s treatment of its killer whales (Orcinus orca). It shed a new – and disturbing – light on the popular marine-themed amusement park, asserting that the death of trainer Dawn Brancheau was an act of frustration by the whale Tilikum following years of mistreatment. Following public outcry, SeaWorld, along with similar venues, was quick to call out Blackfish on the supposed truths it revealed, declaring that the film was not a documentary, but a work of propaganda. What is Blackfish? What does it say about SeaWorld? The filmmaker, Gabriela Cowperthwaite, describes her motivations for creating Blackfish as a need to reveal the truth. According to her bio on the Blackfish page, she heard about the death of Brancheau in 2010 and felt that “something wasn’t right”. The film asserts that SeaWorld has a habit of minimizing the accidents that occur as well as mistreating their animals. In regards to the Dawn Brancheau incident, Blackfish claims that SeaWorld blamed the trainer for her death. SeaWorld refutes this point. SeaWorld’s website describes Blackfish not as a documentary, but as a work of propaganda made by anti-captivity activists. They point out that the interviewees from the film are not experts in their field and assert that many of the “facts” are distorted to suit the filmmaker’s purpose. Following the release of Blackfish, SeaWorld began to post videos featuring their employees, speaking about the care their animals receive. Last summer, SeaWorld announced its plans for the Blue Project. This initiative features a new orca habitat in San Diego with 1.5 acres of surface area. The 50-foot-deep tank will feature currents reminiscent of the orca’s original habitats. 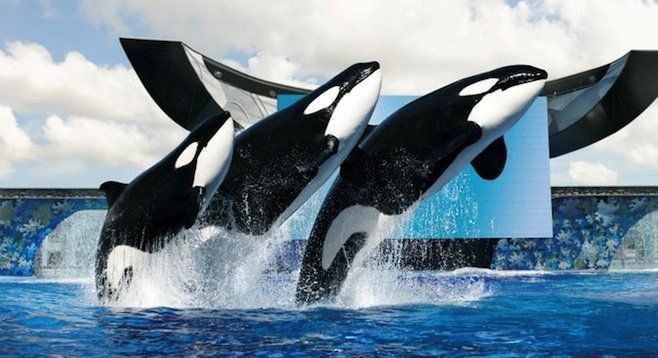 SeaWorld says they also hope to research orcas to improve their care in captivity. The practice of keeping animals in captivity has been the source of controversy for decades, but generations of activist for both sides have discovered one thing: there are no easy answers. If SeaWorld is a legitimate practice, then the work it does in breeding and research is valuable and contributes to the care of whales across the globe. However, if the issues brought to light by Blackfish are legitimate, then SeaWorld should not be allowed to continue operations. For further information, you can visit SeaWorld’s page on Blackfish, browse SeaWorld’s Youtube page, explore the official page for Blackfish, look at the IUCN page for Orcinus orca, watch a video about SeaWorld’s deceptive advertising, or check out this activist group’s website. You can also sign a petition for ending SeaWorld’s captive orca breeding program. With the increasing population and demand for a more efficient way to achieve sufficiency, the biochemical world is shifting from artificial insemination and embryo transplant to a new frontier: cloning. Cloning is the process of biologically producing genetically identical organisms. Every bit of a clone’s DNA is identical to its donor. Cloning is put into practice to propagate the desired traits of animals that are challenging to capture through natural breeding techniques. 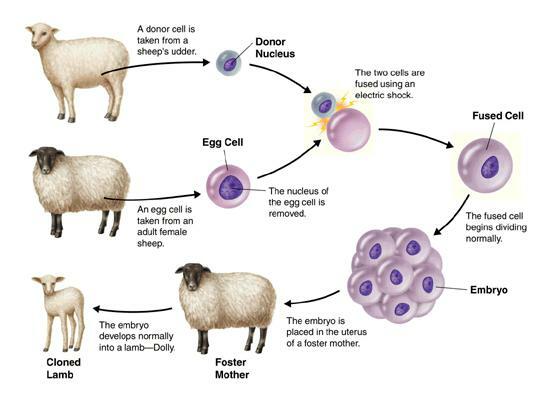 Techniques for cloning and manipulating gene sequences began in the 1970s, done by biotechnological procedures, such as artificial insemination or embryo transfer. The most common technique of cloning is the microinjection of DNA into the pronuclei of a recently fertilized ova. This creates the opportunity to alter or remove specific genes. Gene constructs, genetic material containing the information for transfection, are designed to express directly or indirectly various growth factors and alter body composition: the largest class of transgenes transferred into livestock. Majority of gene constructs include growth hormones (GH), though other constructs based on GH release insulin-like growth factor-1 (IGF-1). Experiments have produced positive effects on growth and body without abnormalities. With the continuous growth and improvements in the cloning world, the production of transgenic animals has a growing potential to reach a level of efficiency above pronuclear microinjection. By the year of 2525, the act of cloning could be established as its own independent industry that has the ability to be practiced by cooperative businesses similar to the industry of artificial insemination. Cloning animals is beginning to have a large impact in rapidly producing food for human consumption. Farmers are starting to experiment with cloning, especially with dairy farms. If these farmers own a cow that is able to produce 30,000 pounds of milk and clone her, they should automatically know what the production amount is going to be. These farms have quickly begun to produce milk by the gallons that we could very possibly even see in our local grocery stores by next year if we are lucky, but that is not the only contribution cloning will be able to do. Cloning could also have a large impact on organ farms. Farmers should soon have the ability to help raise animals that have been cloned in order to contribute to the transplantation of organs to humans. If a farmer has an excellent, strong, well-built cow, then they will have an opportunity to possibly reproduce or save those valuable traits to later raise a strong relative. Technology is soon going to be able to catch up to many of these ideas to boost the agriculture industry as well as being able to make a large contribution to the medical field and possibly several others. The cloning process is still currently being studied and tested. Scientists are working rapidly to be able to give all farmers the option to clone. Studies of the success rate are currently running from 3 to 5%, with the other few being born with slight abnormalities such as being obese. Dolly,a sheep who was the first animal clone to be born, had this abnormality with a cause that is still not known by scientists. Although the success rate is still on the rise, with scientists learning something new with each test and study. Once the successful cloning rate reaches a success rate of 30-40% it will be in easy reach of any average farmer. Cloning is so cool! Within the last 20 years, the once thriving bee population has suddenly dropped significantly. In 2006, 40 percent of commercial honeybees were lost. Beekeepers all over the globe have especially noticed the disappearance in the honeybee population. Now you may be thinking that this decline in the bee population is beneficial because it means less bee stings, but bees are far more important to the world than you might initially believe. Contrary to popular belief, bees make much more than honey. Bees in general play a vital role in food production; bees pollinate the crops that are the basis for food production. It is estimated that bees contribute 15 billion dollars to the increase of crop value each year. Yes, the occasional bee sting can be annoying, but the overall benefit of bees surely outweighs the bee stings. Interestingly enough, the major cause contributing to this reduction is commercial agriculture. The harmful pesticides that are being used by commercial farmers to kill unwanted insects are also having the same negative effects on the bee population. It is quite ironic that the pesticides used to help food production are actually contributing to the killing of the insects that are vital to food production. disorder (CCD). This involves all of the adult bees seemingly disappearing with no dead bodies remaining behind. The queen honeybee usually is still found alive, but the colony is destroyed with the loss of bees. It is not known what causes this problem, but many consider it to be the result of a number of issues. 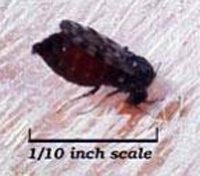 These mainly consist of pesticides, parasites, disease, and/or nutritional problems. The pesticides believed to be the primary cause of these deaths are called neonics. The most notable neonic is named imidacloprid and it is the most popular insecticide on the planet. These pesticides are share a similar chemical structure with nicotine and share its addictive properties. Starting in 2008 multiple studies began linking neonics with damaging effects on the environment including CCD. 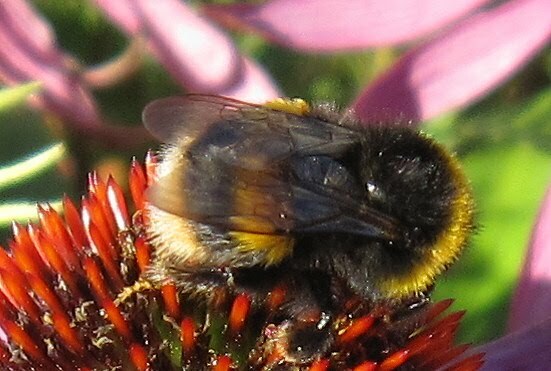 The bees are unable to taste the neonic and when they begin feeding they become addicted. After a large amount of it is consumed it begins to affect their fitness and prevents them from foraging for food. In the end the bee becomes too weak to find food and starves to death. In 2013, the EU and a few neighboring countries began regulating the use of neonics, but they are still widely used in America. What can you do to help fight this issue? As an average citizen that does not keep a bee colony, you can refrain from using pesticides in a non-controlled manner. They should definitely not be used near a colony and you can try to not use them during midday hours when bees are active and about. The history of 3D Bioprinting is brief, for it is a new development that is still being tested for safety and is not yet commercially utilized. However, much of the research that contributed to the current early-stage development of 3D bioprinting is based off of tissue engineering research that has been taking place for the last forty years. Even before that, the study of cells and tissues stemmed from Anton Van Leeuwenhoek’s early microbiology studies on cells dating all the way back to the early 18th century. In 2004, Organovo, one of the largest research groups dedicated to studying Bioengineering discussed the formation of their company around Forgacs organ printing technology. The Forgacs lab in Missouri had been doing extensive lab work over the last several years on the idea of printing cells to form organs. The first research patent on a platform entitled Self-Assembling Cell-Aggregates and Methods of Making the Same was filed in late 2005. Over the next few years, the company changed hands many times until a major breakthrough in 2010: Organovo described their work on a fully cellular blood vessel, demonstrating the ability to create novel tissues in 3D using only primary human cells. They soon partnered with Methuselah Foundation on Funding of Bioprinting Research at Research Institutions and were able to close a 46.6 million dollar research grant that allowed them to begin presenting prototype models of a human liver that was printed in 3D. 3D bioprinting is a groundbreaking technique that involves a precise procedure. The robotic arm of the bioprinter is first programmed to create a mold based on the organ to be printed. A matchbox-size triangulation sensor proceeds to determine the position of the first syringe to begin the printing process. The robotic arm of the 3D tissue printer moves the first syringe to fill the mold with living cells. The 3D tissue printer outputs living cells and a dissolvable gel that supports the cells during the printing process. After the printing process is completed, the well plate that contains the newly printed tissue is removed and placed in an incubator. The tissue on the well plate proceeds to fuse into an organ. 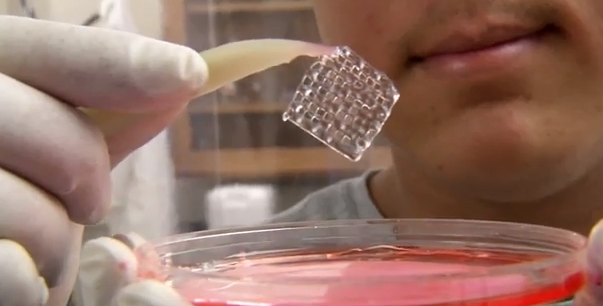 3D bioprinting has the potential to revolutionize medicine. Scientists have already begun to 3D print organs such as kidneys and bladders. At this rate, patients in need of an organ donation will no longer have to depend on the unreliability of organ donors; instead they will be able to have a new organ 3D printed. Not only will more patients be able to get an organ donation, but they will also no longer be at risk of an organ rejection because their 3D printed organ will have come from their own cells. 3D Bioprinting undoubtedly has numerous benefits and the capacity to save countless lives, but there are many concerns with this upcoming innovative medical process. Since bioprinting is still new, there is no research on the long term effects of bioprinted materials on humans therefore there is no strong evidence that bioprinted organs is as effective and durable as transplanted organs. How accessible will bioprinted organs be to the public? Like any other medical treatment, bioprinting is expensive. Only those with health insurance and the upper class would be able to afford 3D Bioprinting, therefore exacerbating the gap between the rich and poor. 3D Bioprinting can also revolutionize plastic surgery, making it faster and cheaper. This will change the ideals of society and create “immortal beauty”.